This was written by Amanda Ash. Posted on Tuesday, September 13, 2011, at 9:17 PM. Filed under Film & TV. 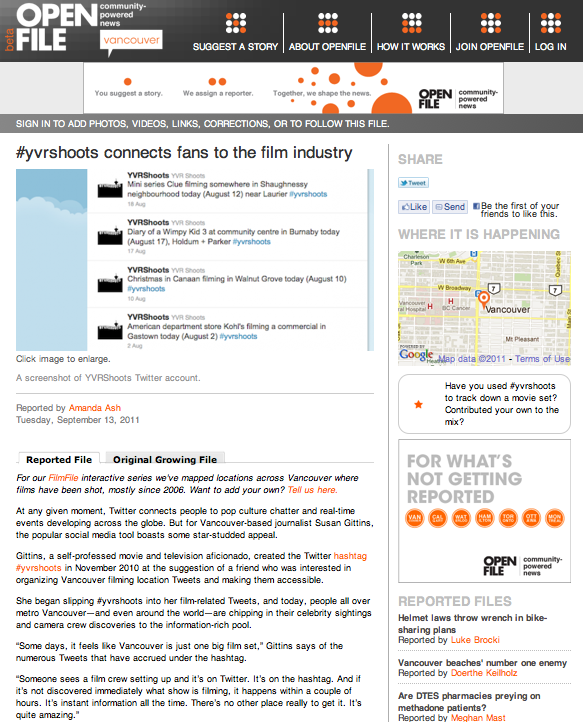 Tagged #yvrshoots, OpenFile. Bookmark the permalink. Follow comments here with the RSS feed. Post a comment or leave a trackback. J’Adore Dance mom & baby dance classes allow you to work out, have fun, and be close to your baby all at once. I’ve had to leave Strollercize sraeevl times because of a very upset baby, but baby loves to pump n groove with me! It is the only postpartum activity I have been able to do that reliably makes us both happy every time! Yes! Finally something about sydney tourist attractions. – Sin descarga, sin registro.